The Velikoretsky Procession of the Cross; the oldest, longest and by far the biggest of many in Russia. 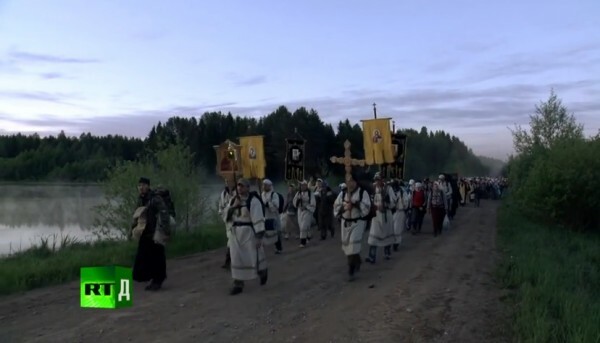 40,000 pilgrims from all over country walk 160 kilometers for 5 days following the icon of St. Nicolay the Wonder-worker. We meet some of the Orthodox devotees and delve into what motivates them to take part in this challenging and demanding pilgrimage. What motivates them? Why choose such a challenging path? Where does this rough and rusty road lead?